As a business owner, you have enough on your mind without having to worry about your insurance needs. You want to have the confidence that the business you’ve built is covered by a company that understands your business insurance needs. Every business is different – with different risks, liability, and exposure. If you have an office that your customers visit, you need liability coverage to protect your business in the event that someone is injured while at your office. We can also provide coverage for expensive equipment that you need operational for your business to be profitable. We help business owners protect their investment as well as their revenue, by transferring those risks to an insurance policy that fits their needs. We provide all types of business insurance – everything from apartment insurance to woodworking and cabinet making insurance, and everything in between. You can find a complete list of services and types business that we can cover with business insurance listed below. We also carry Worker’s Comp, Business Auto and Employment Practices Liability Insurance that are not specific to any particular business. To be sure that you are covered, schedule a confidential business risk review with one of our qualified and experienced professionals. They will help insure that your risks are minimized and your income is protected from unexpected occurance. A business insurance that covers a lot of self employed professionals in the Ocala area is Artisan or Contractor Insurance. 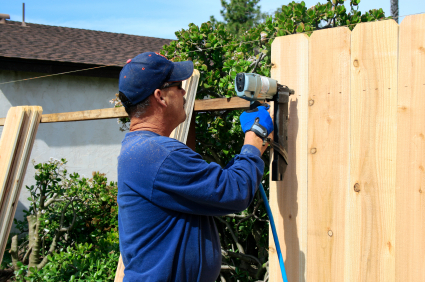 It covers skilled laborers who work with tools at their customer’s home. Carpenters, plumbers, electricians, drywallers, roofers, and lawn maintenance professionals would be a few who would be covered by artisan insurance. This group requires coverage for their equipment and tools, as well as protection from liability due to damage to a clients property. Typically the most efficient and cost effective way to obtain coverage is with a custom business owners policy. A business owners policy is 2-fold: property insurance to protect the equipment, space, machinery, and building equipment needed to do your work; and liability insurance to protect you from lawsuits due to damage or injury. As a sub-contractor, you may be asked to obtain Owners and Contractors Protective Liability coverage. Although, as the sub-contractor, you purchase the coverage, it protects the home owner and/or the general contractor from liability resulting from loss due to negligence. If you are this type of specialized laborer, you should look into protecting your business from unexpected loss by discussing artisan coverage with a qualified insurance professional. Churches need to be covered for general property damage as well as liability. 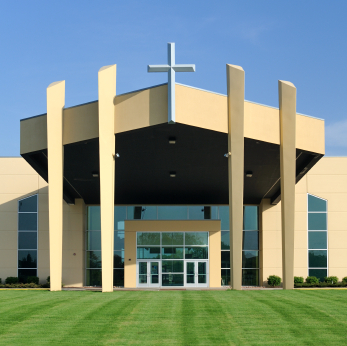 Our business insurance designed specifically for churches does just that and more. It can also provides coverage for retreats, religious camps, and other church events off church property. The property coverage can protect against losses from damage to the building, contents, business income, equipment breakdown, accounts receivable, computer equipment, outside signs, valuable papers and food spoilage. No deductible is required. We would be glad to meet with your financial officer or the board of trustees to review your church policy to ensure adequate protection for the church. Learn more about church insurance. Trucks, vans, and other vehicles owned by your business are not covered on your businessowners policy (BOP). Separate business auto coverage is required. Whether your vehicles should be covered by a personal policy or listed on your business auto policy is something our agents can help to determine. Personal policies are often not enough and leave your business vulnerable. Even if the vehicle is personally owned, rather than owned by the business, it is a good idea to review your situation to determine if business auto insurance is warranted. If the injuries incurred in an accident exceed your personal policy limits, the injured party could potentially sue your business for the difference. Insuring you have enough coverage to protect your personal and business assets, and not just enough to satisfy state law is important. Our agents will work with you to be sure your business is covered and you are protected from any unexpected loss due to an auto accident.